Don't worry: there's no duckface in sight. 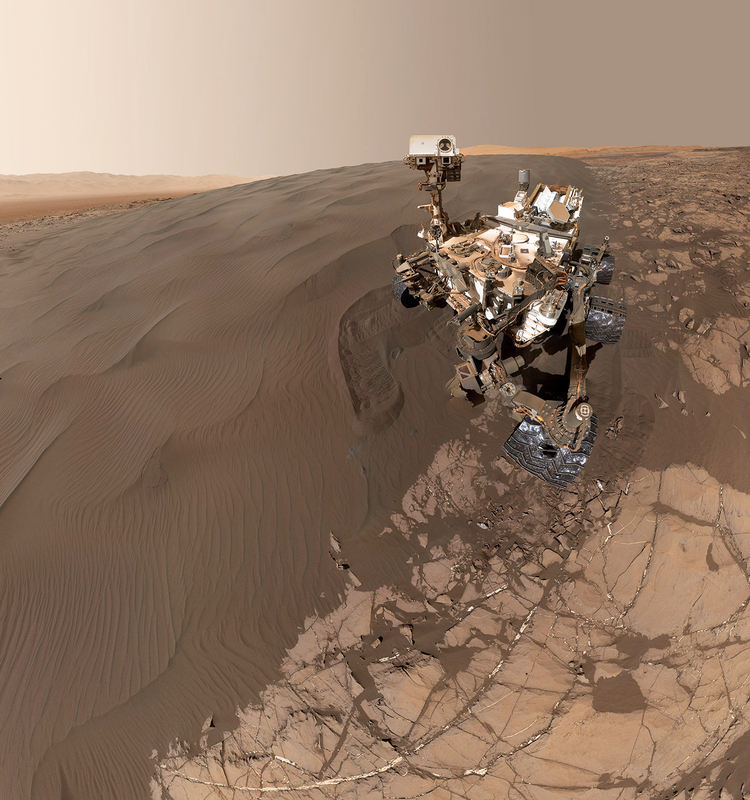 Curiosity continues to explore the red planet almost four years since it landed in 2012. Over the course of its journey, it's taken the kind of selfies we don't mind seeing. Its latest self-portrait was captured at a place called "Namib Dune," part of a dark sand dune field northwest of Mount Sharp. What you see above is a composite of 57 images snapped on January 19th by the Mars Hand Lens Imager (MAHLI) attached to the end of the rover's arm -- think of it as a high-tech selfie stick. Curiosity visited the dune to scoop up sand for lab analysis as part of NASA's efforts to understand how the Martian winds move. The space agency has been looking into its wind patterns for years to get a more complete view of the planet's environment, which will definitely be useful to the first human crew to set foot on Mars.